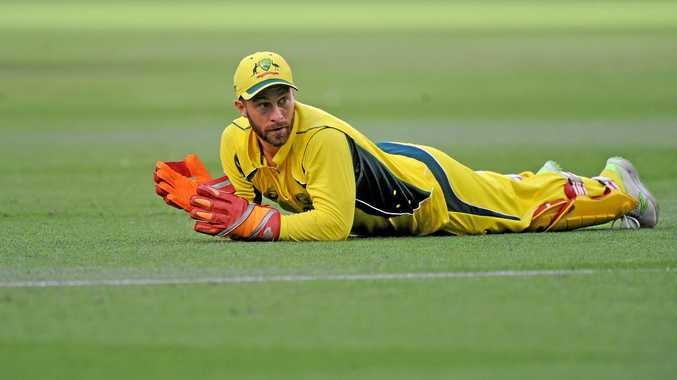 CRICKET: Matthew Wade's dream of captaining his country is over for now after the wicketkeeper was sent home from the One-Day tour of New Zealand for treatment on a back injury. The injury, which kept him out of the six-run defeat to the Black Caps on Monday in Auckland, worsened and the 29-year-old had already been ruled out of today's second clash at McLean Park, Napier before the decision was made to send him home. Earlier in the day Wade, who was made stand-in skipper after Steve Smith was left out of the series with an ankle injury, had said he would stay with the squad but it was then decided he would also miss the final game in Hamilton on Sunday and return to Melbourne for treatment. After treatment Wade is due to fly to Dubai for a pre-series training camp at the International Cricket Council Academy ahead of the tour of India. Wade said he was confident the injury would not affect his prepations for the tour later this month. "It's not a major injury but with the short turnaround between matches and the four-and-a-half hour journey by bus to Hamilton for the next match, it's been decided it's best for me to go home and get some treatment in Melbourne," he said. "With Dubai and then India I'd say I'd definitely be right for that. "I'll get that bit of treatment in Melbourne and we're hopeful it'll be fine by Sunday or Monday and I can be on a flight to Dubai and start training pretty much as soon as I hit the ground there." Wade said the same injury - affecting the lower left-hand side of his back and picked up at training while diving during a routine fielding drill - had struck him previously during his career and the resulting recovery had been swift. No replacement will be flown in for Wade, with Aaron Finch to captain the side for the final two games of the Chappell-Hadlee Trophy series. Peter Handscomb will again take on wicket-keeping duties, while 21-year-old Queensland batsman Sam Heazlett is likely to continue in the middle order. Adam Zampa could be the only change from Monday's game with quick bowler Pat Cummins to make way if the selectors go for the leg spinner.